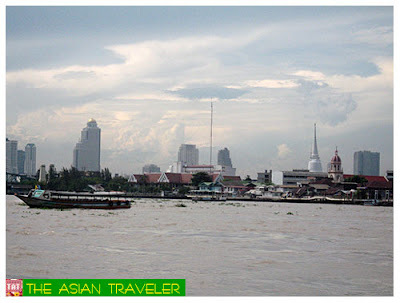 In the central region of Thailand, the Chao Phraya River is regarded as the bloodline of the Thai people. It has its own origin in four rivers flowing from the northern region of the country. 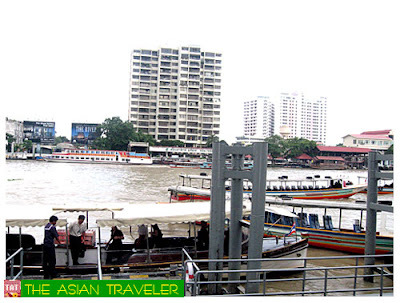 Today, the Chao Phraya River remains the most important waterway for the people of central Thailand. 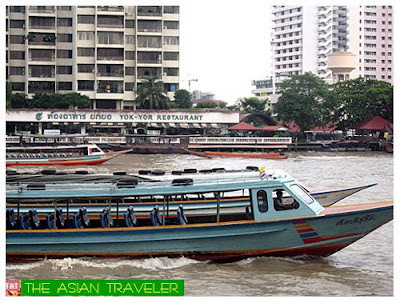 We started to embark on the motorboat at Si Phraya Pier located in the River City Shopping Complex. 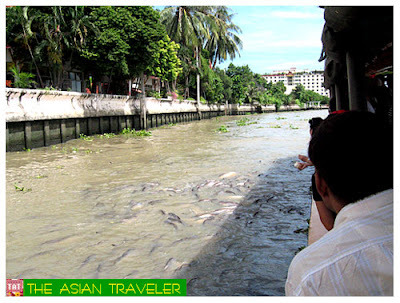 Soon we were whisked down the Chao Phraya and canals (khlongs) of Thonburi. 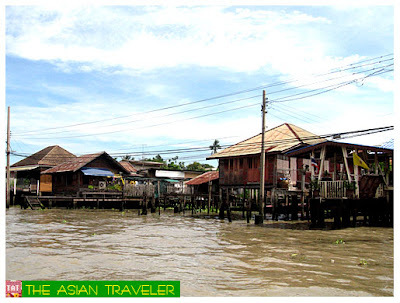 We had glimpses of Thai houses and drifted past some major edifices that can be found on both banks of the river such as the Wachai Prasit Fort, Royal Thai Heavy headquarters, the Royal Barge National Museum, the Old Customs House, the Grand Place and Wat Rakhang. We paid a visit to Wat Arun also known as the Temple of Dawn (as I had previously posted). 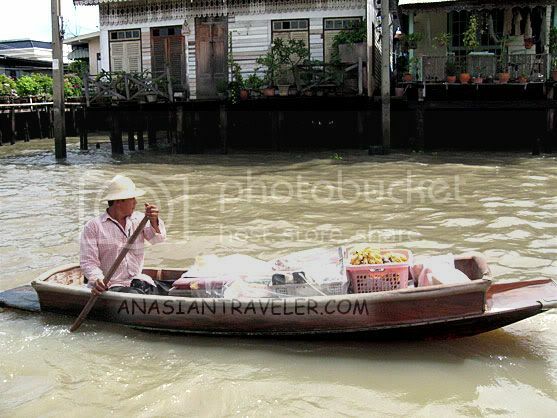 While traveling along the Chao Phraya River, there were also few vendors on sampans that paddled up to our boat selling snacks and fruits. 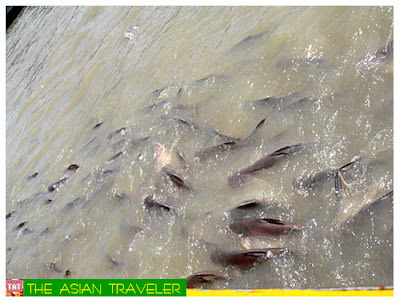 One of the highlights of the river boat tour was the "feeding catfish with bread". Our driver made a detour and went to a place that has thousands of huge catfishes (also known as mud cat with whisker-like barbels around the mouth). Next thing we knew our boat were already surrounded by a lot of catfishes. We had to pay a few Bahts for a loaf of bread from the tour guide where we could feed them. (Good thing, buying the bread is not obligatory.) 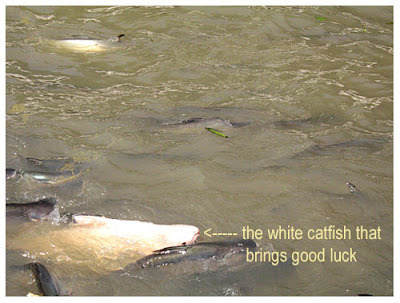 It is said it brings good fortune especially if you see a White CatFish. Overall, the river tour was okay. We had the chance to observe the Thai ways of life and enjoyed the idyllic natural surroundings. The final stop on our half-day city tour was a Jewelry shop. Upon arrival, complimentary chilled soft drinks and scented towels were given to us. Then we were led into a mini-theater to watch some videos about the gems to persuade guests to buy jewelries. :) Next we were escorted into a massive jewelry shop that was chock-full of tourists. My two elder sisters perused the store while I bonded with the guys in the coffee shop that serves free flowing coffee and juices to guests. 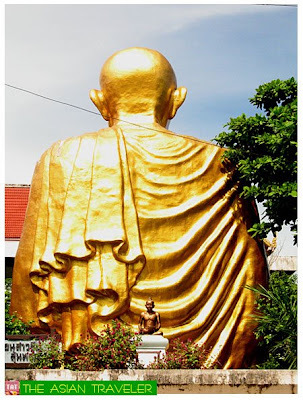 I only visited Hatyai in Southern Thailand many years ago, so I didn't really see much of Thailand. Guess how we went there? We took a direct coach from Singapore, entered Malaysia custom, all the way to the Malaysia border and exited the custom, then entered the Thailand custom and that was a 12-hours ride for us I think. 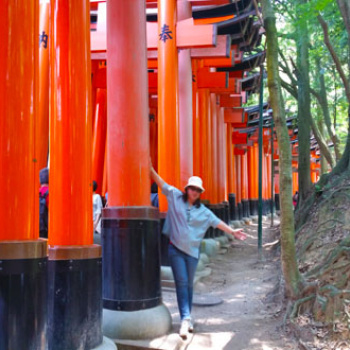 It's quite a travel experience! I had the chance to have a night tour of this river last year and the day tour certainly looks different. thanks for sharing. Whew! 12 hours, that's a real long ride from your place. However, that's what I like also about Singapore, it has a long-distance express buses and trains connecting neighboring countries like Malaysia and Thailand. I read on your header that you wanted to travel the seven continents of the world. Awesome! That's one of my ultimate dream too. I'd rather travel the world than own a lot of properties. Life is too short boy! Perhaps you could change your name into World Traveler instead of Asian Traveler. Kekeke! Also, I went to Bangkok three years ago and I can still remember their Chao Phraya River. 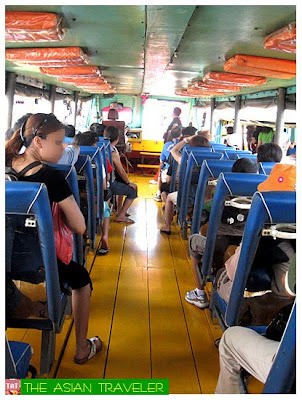 You can actually stop to a lot of tourist spots using a tour boat. Awesome. I'd like to share with you my Bangkok trip. Click the link below. My latest travel is on the East Coast. I went to 15 States on a road trip. I am currently blogging them now. Go check 'em out! Nice to meet you and hope we can be good friends and travelers. Ha! Yeah! Regarding long journey buses, my friend even more daring than us! He took a bus ride all the way from Singapore to Bangkok!!!!!!!!!!! !